Since then I’ve worked on many survey and gained significant insights. First, surveys are a valuable thought leadership tool that do much more than simply generate coverage. However, when it comes to coverage, I think the rewards are long-lasting. Our clients routinely see thought leadership metrics increase for up to three months after a survey launch. Also, editors are always looking for fresh stats and I have seen them consistently use key findings from surveys for up to 12 months. As an added bonus, they often link back to survey content in their articles. Second, surveys can help PR teams achieve some of their strategic goals, such as establishing market influence and increasing executive visibility. With surveys you can discuss market issues and demonstrate your knowledge and expertise. You can utilize key executives to talk with media, building relationships and their credibility. As the years have gone by, I’ve seen additional benefits. As everyone knows, PR and marketing departments are working more closely together to produce integrated marketing programs and campaigns. Surveys are an excellent tactic for providing timely, relevant content that can be leveraged for social media programs, executive speeches, events, and microsites. Surveys enable you to put a spotlight on a business issue, highlight what is keeping CIOs up at night, or start an industry conversation around important IT initiatives. You get to share a unique point of view, supported by the data, and lead the discussion. 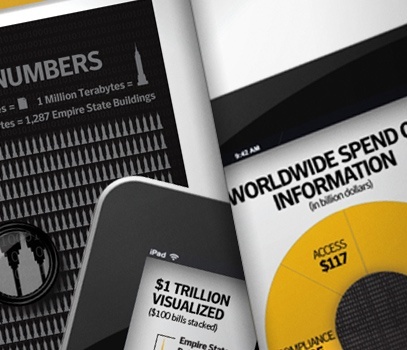 We recently helped Symantec take a look at precisely where information stands in global business. While others have looked at parts of the puzzle, we developed a survey that provided a holistic view of the importance, challenges, rewards and costs of information. The survey was so comprehensive that I was able to pitch three separate stories to the media over a six-month period. Because of the high-level nature of the topic, an executive vice president met with publications including The Wall Street Journal, CNBC, and Fortune. We also generated extensive content for upcoming marketing campaigns and received coverage that exceeded everyone’s expectations. In a word, homerun. Now, whenever I have a chance, I make sure companies understand how much they stand to gain by adding surveys to their arsenal of PR tactics.